A yellow rose signifies warmth, friendship, joy and happiness. Giving a yellow rose means wishing moments of happiness and joy. 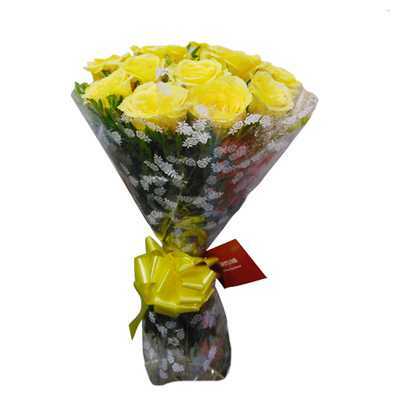 This shining and impeccable bundle of 12 yellow roses with fresh green leaves will surely brighten the day of your loved ones.